The 40-year-old institution thrives in the business of education, as it caters to a very young niche—kids aging from 0 to 36-months-old. Sleepless nights, walks to the park, and the search for best milk formula seem to be the top things parents worry about in the first months of their child’s life. But once these children start crawling and walking around, parents open another chapter of their lives: the search for the best school. “Parents are indeed meticulous when it comes to their very young children,” Gymboree Philippines Managing Director Ann Tan told Entrepreneur.com.ph via email. 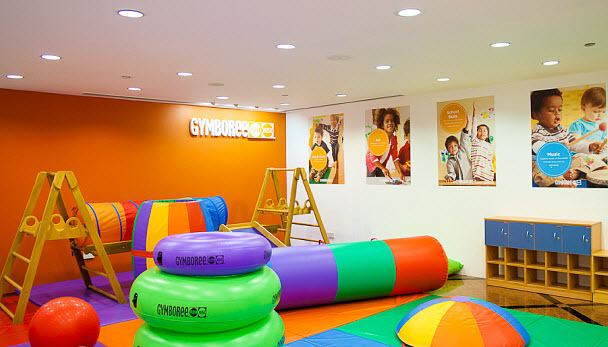 Gymboree Philippines is a franchise of Gymboree, which began in 1976 when Joan Barnes, a mother from Marin County, California, tried to find a safe, fun place featuring age-appropriate activities for parents and young children to play together. Unable to do so, she started her own program and eventually established the brand. A study conducted by Mastercard in 2013 showed two-thirds of families in the Asia Pacific shell out an average of 14% of their monthly income for their children’s education coupled with enrichment classes. A 1-year-old (sometimes even younger) can already start going to school or a learning center. In Gymboree, the Play and Learn class get the most kids, with age ranging from 0 to 36 months-old can start learning through play. “Gymboree focuses on the whole child approach and develops not only the intellectual and academic skills—which is the area commonly focused on in the Philippines—but also the physical and socio-emotional skills through engaging activities,” Tan added. Several scientific studies have backed the benefits of preschool programs, particularly in the development of children’s behavioral and academic competencies, according to a study by RAND corporation. The same study said these programs also nurture parents’ relationships with their children, something Gymboree also boasts as most of their preschool programs encourage participation of family members. “An often overlooked aspect in learning centers is socio-emotional skills, so we encourage students to speak up, but in a positive way, that they turn out to be confident kids,” Tan said. For example, the Play and Learn class have six levels with varying participation and engagement from teachers, students, and parents. Some activities include training with parents on how they can extend learning inside the home, while some encourage group activities with other kids. However, like the saying goes, raising a child takes a village and developing competent children takes a school. 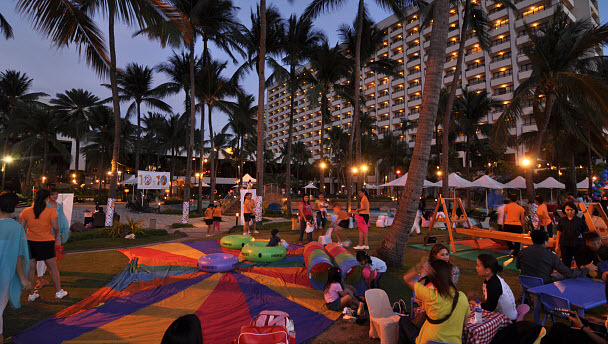 With such attention to detail, Tan shared most of the brands’ franchisees are parents who admired the centers’ practices with children who came out more confident with the program. “At least 60% of our customers come from recommendations from other parents. Word of mouth spreads of why customers come to our door. And with the advent of social media, the experience can be shared and spreads even faster,” Tan said. The center has grown to 16 branches nationwide, 13 of which are franchised with locations in Cebu, Davao, and General Santos City. The brand has also gained a reputation as the learning center of choice in elite commercial centers like Rockwell, Manila Polo Club and Alabang. Tan added while there may be many who inquire for a franchise opportunity, not everyone moves forward with the plan, especially when they face problems in looking for reasonably priced locations. But more importantly, the brand choose those who have the passion for teaching. “Since we are in the service business catering to young families, we look for franchise owners who are able to manage the center and its teachers in order to maintain a high level of customer service and environment and those who believe in developing young children through play,” Tan said. But not everything is as colorful as a child’s play. Gymboree also suffers from high turnover rate, with kids and parents alike saddened by some teachers leaving as they have grown attached to these key figures in their child’s learning. “The turnovers are typical for the young working population of today, fortunately, we have a solid curriculum and training system that allows us to train the teachers with the right personalities to deliver the Gymboree curriculum,” Tan said. Elyssa Christine Lopez is Entrepreneur.com.ph's editorial assistant / staff writer. Follow her on Twitter @elyssalopz.